I’ve worked with Duck Tape® for quite some time. 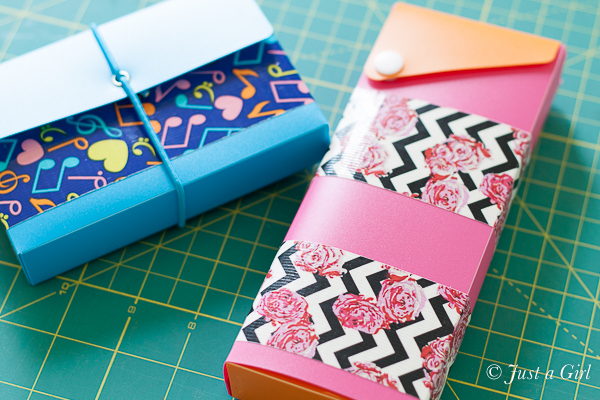 I’ve made some accessories, a Valentine’s ipod box, and a Valentine’s Day purse for my daughter. That’s, of course, not including the countless times I’ve used it around the house or to decorate something like a last minute birthday card around here! You could say we’re Duck Tape ® fans around here. 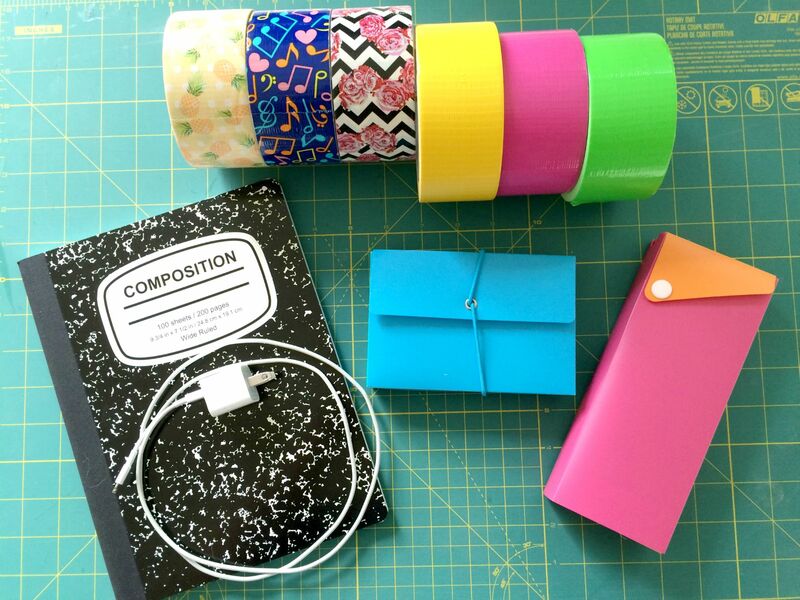 So how can we use Duck Tape® for back-to-school season? Easy. I got your back. See all these boring, ho-hum, everyday Joe Schmoe, average, run-of-the-mill (ok, you get it) projects? Ta da! Va-va-voom! BAM! I know Duck Tape® can be used to make some incredibly awesome items–have you seen the prom dresses?–but I need to know how I can use it every day. What are common uses around the house that will benefit me? It’s all about me. How many of you have been sucked in by these little recipe books in the grocery check out lane? You’re sheepishly raising your hand right now…I hope. I don’t wanna be alone in this. 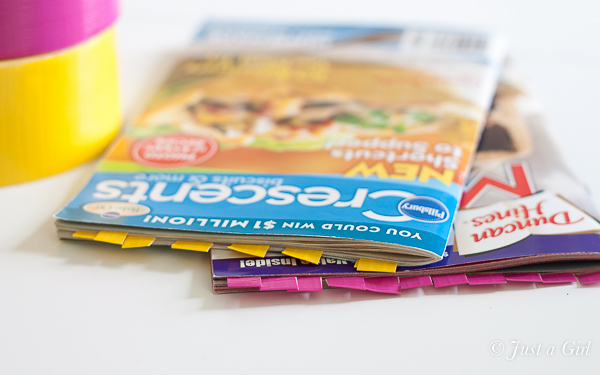 Cut your Duck Tape® into little strips, and you easily have all your favorite recipes bookmarked. The ones you’ll never. ever. make. Side note–and perhaps my biggest piece of advice when working with Duck Tape®–is that it is easiest to work with it on a cutting board. 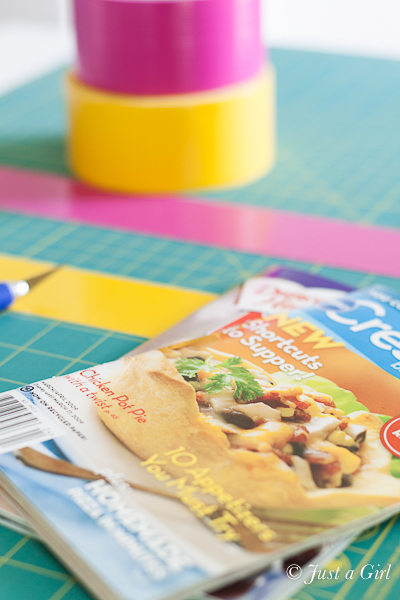 You lay out the tape and just cut it with a craft knife. SO easy. Highly recommend. And finally. The big dog. The one thing that could possibly save your family from falling apart? 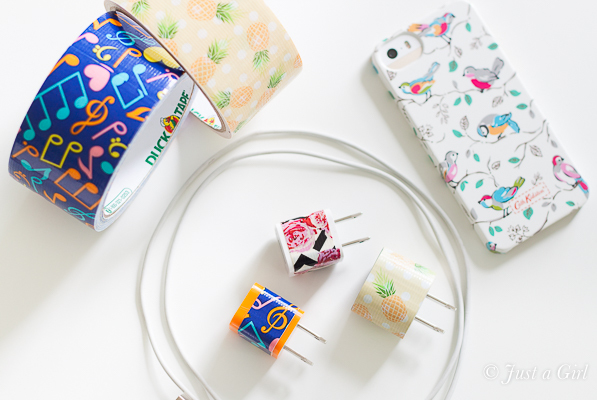 Cell phone chargers. Are we the only family that is constantly saying, “That’s my charger!” “Where is my charger?” “Is that mine?” Ugh. Wrap a little strip around the adapter. Done. Well, now that I’ve saved you thousands of dollars in family counseling, you can Find Duck Tape here. In all seriousness, it really is great stuff! 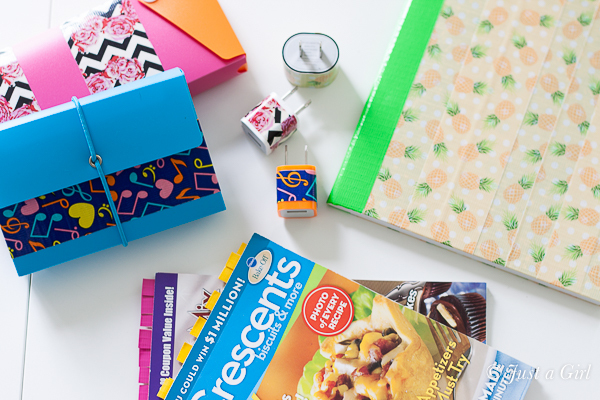 For more inspiration, you can find them on Instagram, Twitter, and their School Craft board on Pinterest.